MNDR ft. Killer Mike - "Lock & Load"
For those who have played Grand Theft Auto V on Playstation 4 or XBOX One, the streets of Los Angeles and West Coast rap probably come to mind when you’re thinking about the game. But there’s more than one radio station to play while running people over and crashing into other cars, and Alchemist and Oh No have cooked up the soundtrack to Welcome to Los Santos. The album will include artists from different genres, like Ab-Soul, Phantogram, MC Eiht & Freddie Gibbs, Wavves, A$AP Ferg, Curren$y, Little Dragon, and the Action Bronson/Danny Brown collaboration on “Bad News,” as well as this new one titled “Lock & Load” from MNDR and Killer Mike. You can pre-order the soundtrack now on iTunes, before it hits stores on April 21 via Mass Appeal Records. 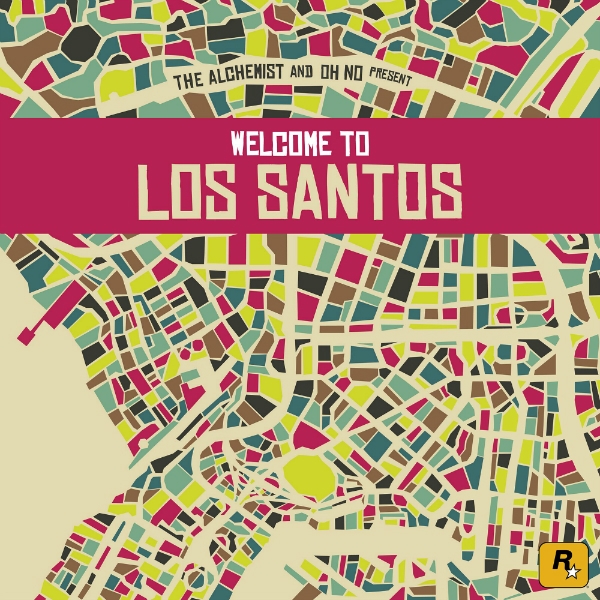 Listen to “Lock & Load” and check out the tracklist for The Alchemist and Oh No Present: Welcome to Los Santos below.